1. Pantene Pro-V Volume, Silicone Free Shampoo: 100% AMAZING!!!!! I have been using it all summer with the matching conditioner. I recommend both! Got my sister, Laura, hooked on it too. Hair is super shiny, healthy, and weightless. Note to the health-conscious: this is NOT a sulfate-free product. However it is silicon and dye free. These days it seems like you have to pick and choose your evils to get a great product. I am going to keep using this shampoo and it’s matching conditioner. 2. Coppertone Tanning Oil Sunscreen Spray with SPF: It’s great, but it’s the first of this type of product I’ve used. I want to also try the L’Oreal product (the Sublime Bronze Sunscreen Oil), and see which I like better. This product is not greasy at all. Goes on really smoothly. I also love that it’s broad spectrum!!!! Gotta have good sun protection. I would buy this product again if I don’t like the L’Oreal better. 3. Banana Boat Moisture After Sun Lotion: Not buying again. It’s not easy to rub in, and doesn’t really feel like a drink of water for my skin. I am not going to buy again, and will be looking for a more moisturizing and after-sun lotion. Any recommendations? 4. 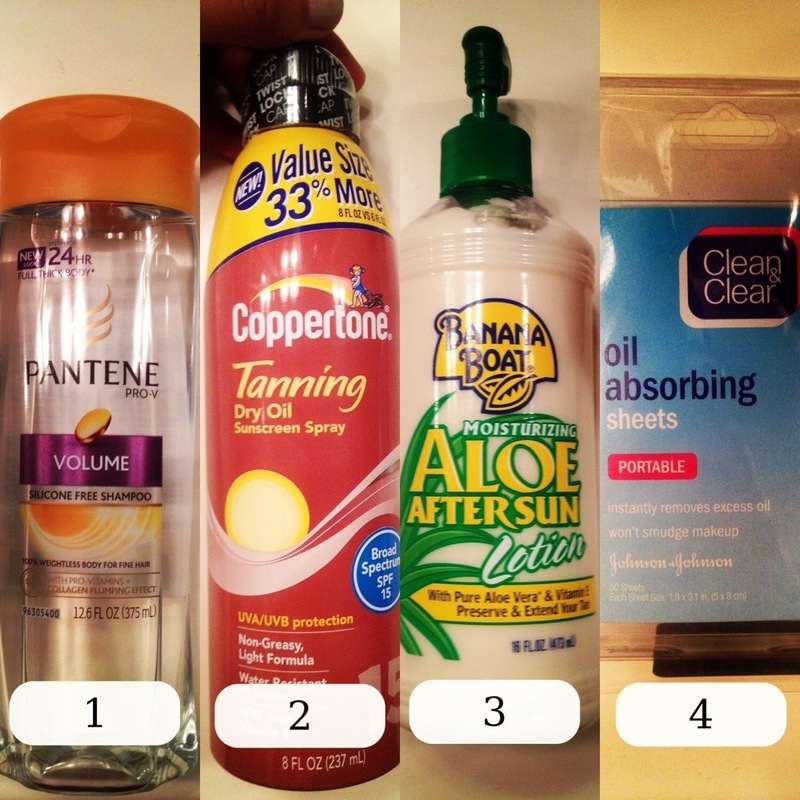 Clean & Clear Oil Absorbing Sheets: Love these!!!! Definitely buying again when they run out! They are equally as great, if not better, than the high-end make up brand ones that I’ve used. Keeps me fresh and shine free. They don’t rub off my make up when I use them, which is a big PLUS! I recommend this product. Enjoy every ounce of summer, and don’t forget to use a broad-spectrum sunscreen! It’s important to take care of your skin today, for a beautiful and more healthy tomorrow.